I have been a Christian for decades. Literally, decades. Over those many years I have read the Bible over a couple of times – not cover-to-cover kind of reading because that would be just too overwhelming. But in the course of my lifetime, I have read it all, especially the New Testament. So until the last few years, the Bible was not the place for me to find fresh perspective. The stories were all familiar and, honestly, old news. Lately, maybe because of the luxury of time now, I have been sitting with these ancient stories. Just sitting with them. Not expecting anything more than a new knowledge of the old familiar. But every once in awhile, when I read or pray or drive in the car, dots get connected, thoughts jive together and start to make sense – between scriptures, between sermon notes, between rambling prayers and anonymous quotations. Seemingly unrelated points of interest come together in the most amazing ways, bringing on new insight, and deeper faith. Somehow, a fresh path comes out of fragments of thoughts. Remember that this Scripture started with Jesus saying those he knew are his sheep, and those he didn’t know are the goats. Sheep and goats. Separated out. Sheep get to go to his pasture; goats got to go to an ugly place. This could not be more direct. Whenever you do good, you do good to Jesus, and he knows you because of that good you do. I took this story to heart. Or I thought I did. But this morning my mind took one of those shifts in perspective, the kind that takes you to your knees, in regret or thankfulness or wonder. I made the realization that I’ve been a goat in ‘sheep’s clothing’ all along. As a sheep, I am without any doubt better than any of those lousy, selfish goats. Oh yes I am. ‘Cause I rock this feet washing thing. Oh yes I do. No question about it. Yup. That’s me. That’s what pride looks like. Such a sweet little sheepie. Baa! Yeah. Not good. Very goat-like. Trust me, I was not thanking God for this epiphany. At least not until I had accepted his forgiveness for a heart issue that had put me in such an ugly place (not the first time, and certainly not the last!). Did it put me in the goat pen? Who knows. I won’t argue theology here, but I will praise God for giving me the Holy Spirit to knock some sense into me. This FRESH outlook didn’t happen through my own feeble thinking. Pride prevents any connection of the dots with enough impact to bring on the needed explosion of change. 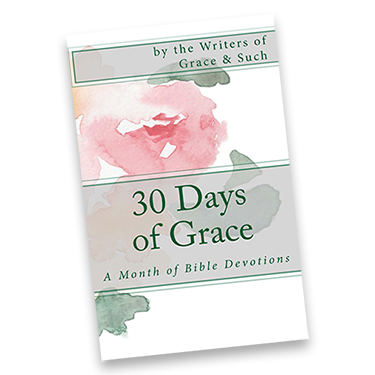 Author Macrina Wiederkehr, writes beautiful word pictures, in prose and poetry, about the seasons in a life in Christ. In her book Seasons of Your Heart, is a poem entitled ‘God in an Apron’ which became the catalyst that literally pushed me out of my complacent sheep-pride. Learn to bow. Learn to kneel. ‘There are only my feet. There are only my feet. The whole idea of foot washing became FRESH for me. It suddenly took on a new meaning, a new reason to do it, a new meaning to want to do it. It was no longer someone’s dirty feet I was washing. No longer a need that caused irritation rather than humble bowing and kneeling. This FRESH thinking taught me that there are no feet but those that belong to Jesus. The least of these are his – and him – all wrapped together in his grace. I am thankful for this FRESH look at such a familiar Bible story. I am thankful because for the first time I am earnestly praying for feet to wash, not for prideful advancement or notice, but because Jesus is there, in the need, in the dirty feet that need washing. And I really want to be where Jesus is. There’s a lot of levels to this, aren’t there? Goats and sheep, washing and not washing, listen and ignore. Arrgghh! Will we ever get it right this side of heaven? Thanks for your encouragement, Ruth! Miss seeing your face! Thank you, Diane. I believe you just did (wash my feet). In my pride, I often ‘get tired’ of washing feet, or somehow lapse into the thinking that I’ve washed enough feet for one day/week/lifetime and ‘deserve’ to have my own feet washed. So grateful for the gentle, powerful conviction of the Holy Spirit’s nudge upon my heart to confess this ugliness and repent. Your lovely post, full of such truth, is such a good reminder to remember that the feet I was are only His, and this is nothing compared to what He has done for me. Thank you, friend. Powerful conviction of the Spirit’s nudge, is sometimes more than just a nudge, isn’t it?? Sometimes it downright hurts. So thankful for the pain that kicks me out of complacency. Thanks for your encouragement, my friend. When I was in the garbage dumps of Cairo with a ministry called Stephen’s Children, one of the missionaries would slowly and lovingly wash the children’s feet. Since the children had little access to a water source and wore no shoes in the garbage, their feet were black. Your post made me think about those around me, their feet look pretty clean to me. We move at such a quick clip and externally it might seem like we don’t need Jesus. We’ve got this. But our hearts, they need his purification. Thanks for the reminder to look at others through God’s eyes and to just love on and humbly serve them. I saw those dirty feet in the slums of Nairobi too. But the faith of those with so little was so fresh and pure. The opposite might be said of those of us who live in such abundance. We gloss over the need for serving each other at such a base level, when in reality we all need to be serve and be served no matter what our outward appearance may indicate. Thanks for your perspective, Tara. Yes – to both you and Tara, Diane. Everyone, IMHO needs to experience those with this type of faith, and usually, it’s found in the most dirty/unsavory places of the earth. I am friends with a nurse midwife who works to welcome new babies in the nations and bless them in the name of Jesus, and she says she sees so many real, honest-to-goodness miraculous healings, etc. I think it’s because there is nothing between their faith and their God. Foot washing and the thought of it is so repulsive to so many which leads to a narrow view of what Jesus was teaching. I don’t quite understand this since Jesus said I’m your example now please do this for each other and be my example to them. It’s seems a bit disobedient to me…but isn’t that just our nature? Love the poem, it really paints a beautiful picture for us. Don’t you just love the nudge? Great post. I gotta say that the thought of foot washing skeeves me out! But if we expand it to include all serving to others it gets more palatable. Still, to your point, Ter, why isn’t everyone serving each other in more than the nice, comfortable ways. (Saying that as I look in the mirror at this girl!) Thx for your insights, Terri!